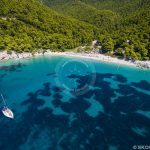 A kilometre or so north of Milia beach brings you to the splendid beach of Kastani. 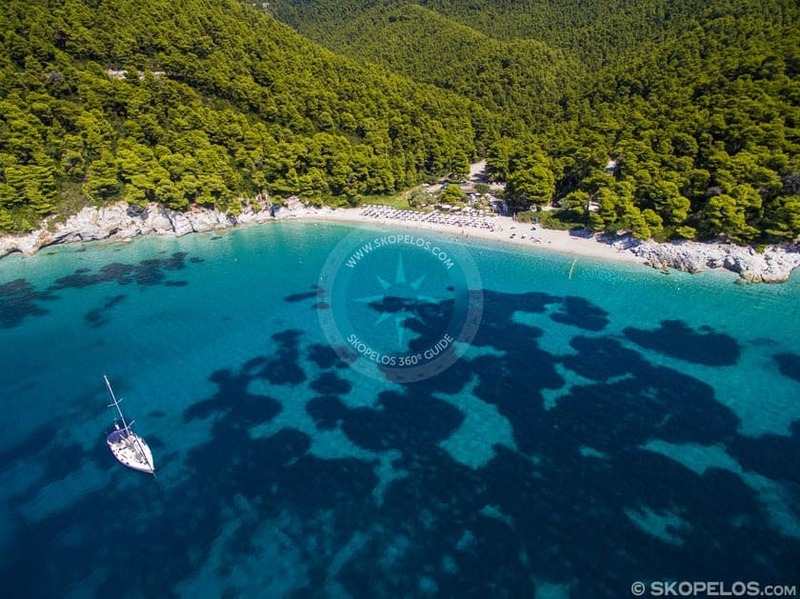 Kastani beach, on Skopelos island, is easily accessible by car and has comfortable parking. 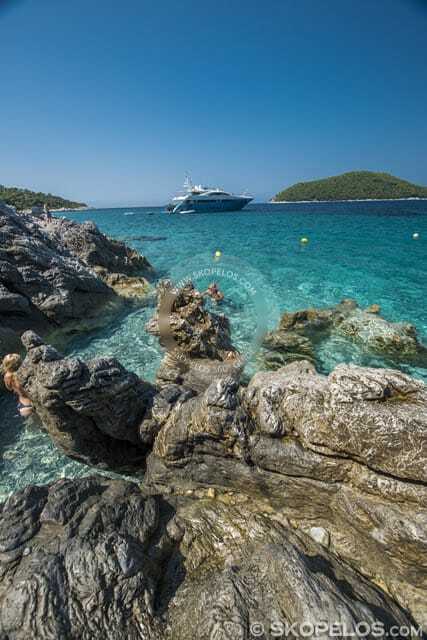 Τhis sandy beach with its beautiful clear water has a starring role in the Hollywood movie Mamma Mia. 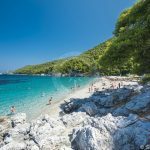 Actually, on Milia beach, the island’s sandiest beach, where shot many scenes of the hit musical movie of Mamma Mia. 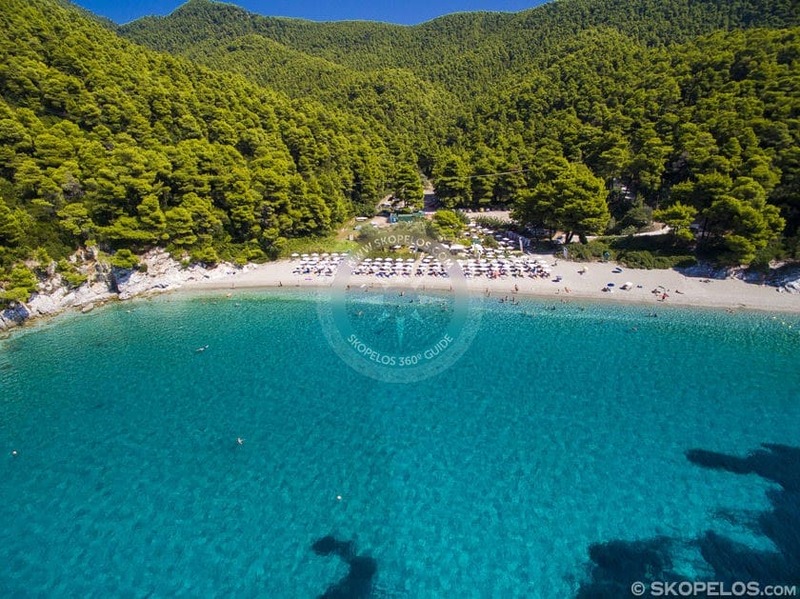 So, due to that fact, Kastani Beach is the most famous location of Skopelos island. 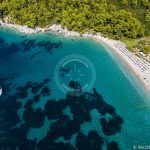 Drivers must be very careful while arriving at Kastani, since the last 500 m. of the road that lead to the beach are not covered by asphalt. 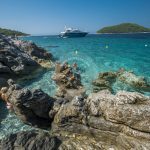 Kastani is a pretty bay of fine, sharp sand with rocks at either end. The pines roll right down to the shore so there is some natural shade.The beach is quite and has little pebbles among the white sand. 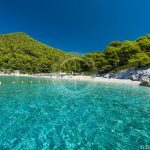 A small jetty appeared briefly but it was only a mock-up, built for the movie set of Mamma Mia and has since, like the film crews and movie stars, vanished leaving no trace of their activities except a war of words with neighbouring Skiathos over which island features most in the movie – it is Skopelos and this beach in particular. 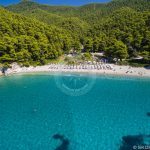 Milia beach, on Skopelos island, is a place of impeccable beauty with the pine trees winding-up almost in the water. 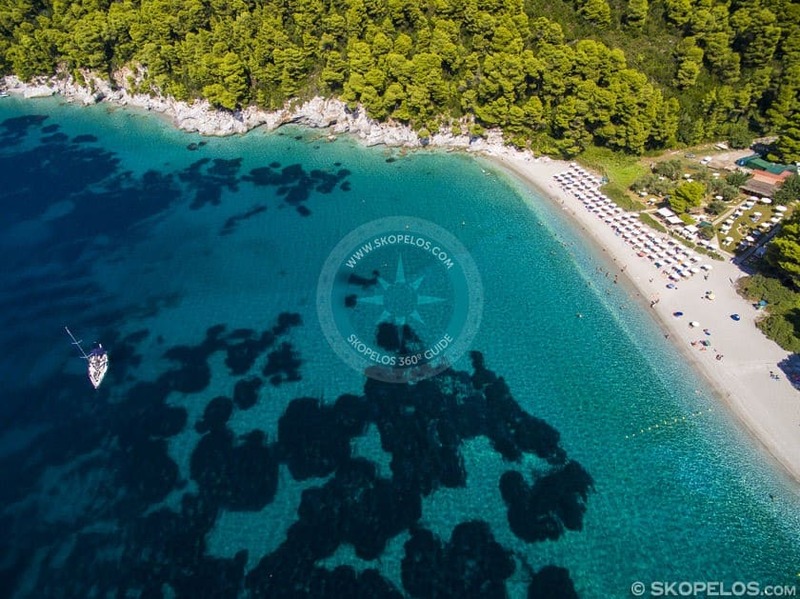 Moreover on Milia beach there are all the necessary amenities, since it is an organised beach.